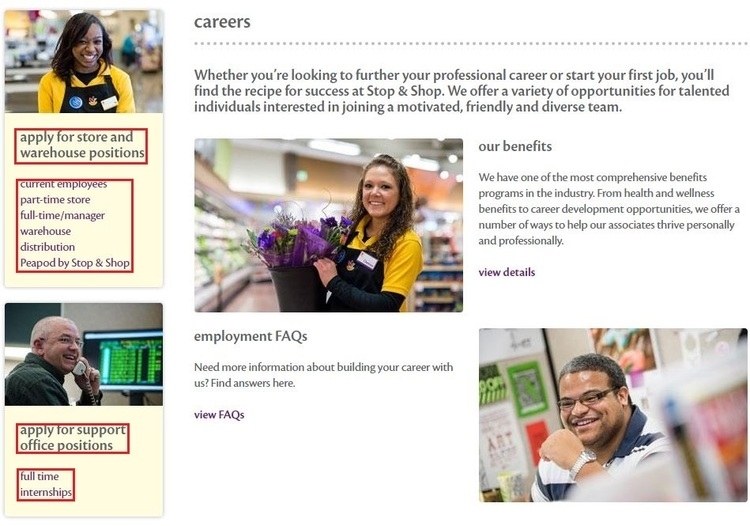 When you go to stopandshop.com/careers, you are required to select the type of Stop And Shop positions first from store and warehouse positions, and support office positions. After choosing a specific position division, you need to create a new account to sign in and search for concrete job openings. This article will introduce you how to apply for a store and warehouse position in Stop And Shop. 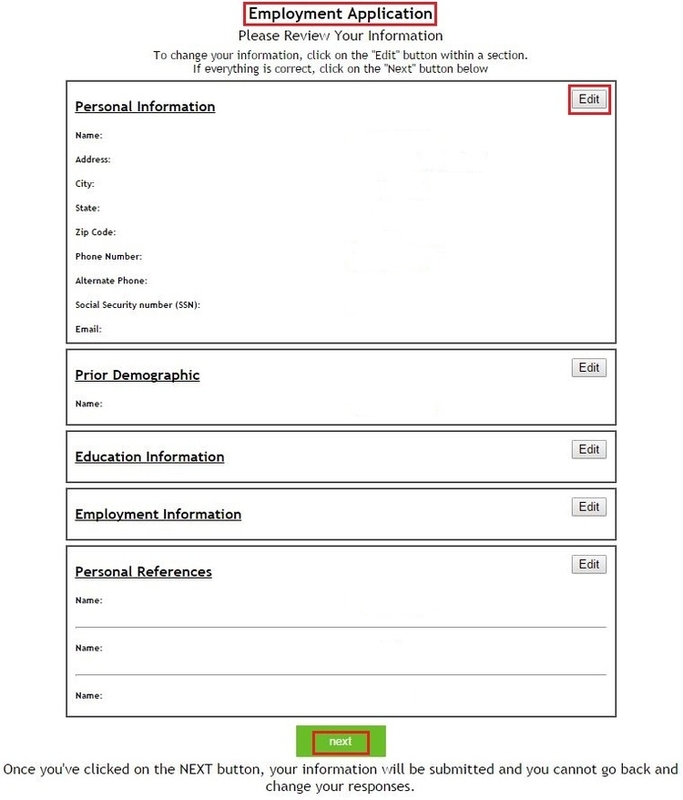 After choosing a specific job category from the two main position divisions, you need to fill out the required information including your name and social security number to enter the next step. 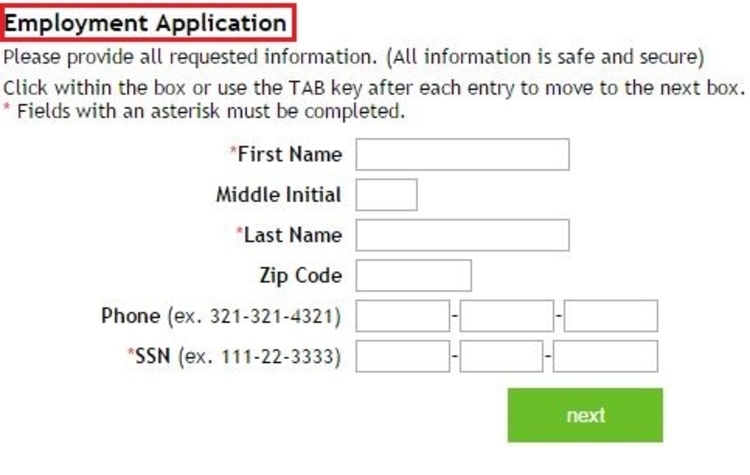 When you fill out the necessary information about yourself, you will be asked to select a position to apply for with the list of the opening jobs. After you select one of them, there will be some information about the job and you can click “Apply” if you have no doubt of it. At this step, you will be required to answer a series of questions based on the basic qualification of working in the United States, your willingness to take other positions, etc. After telling the company some information about your preference and intentions, you will be required to finish other questions based on your attitudes towards your life and work. And you will also be asked to answer several questions based on this job application such as the working schedule and your opinions towards the company. On this session, you are required to provide all asked information, which is mainly about your personal information such as your legal name, address, contact number and so on. After you’ve introduced yourself basically, you will be required to tell about your education history as an important factor towards your qualification for this job. 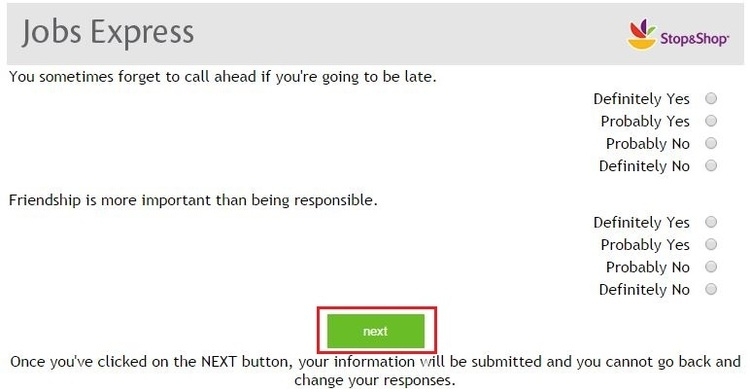 When you finish, you can click “done” for more information to add or click "next" to enter the following step. This is a penultimate step on this job application that you will be asked to review your information you’ve already submitted. If you want to make a change, you can edit it or just go for the next step. After doing it, you will be required to indicate your gender and race in Stop And Shop. 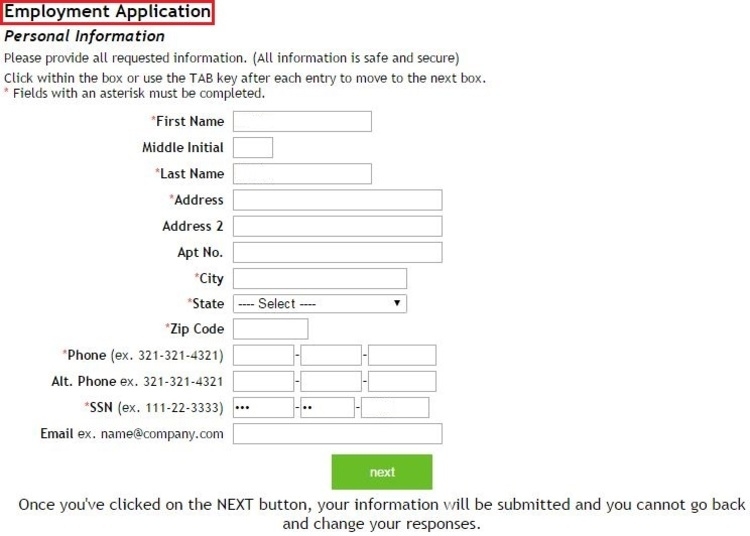 At this final step, you need to answer whether this application is difficult or not and the reasons for it. When you’ve done that, your application will be submitted to Stop And Shop job recruiting team. Click stopandshop.com/careers to apply for Stop And Shop jobs online.